Prizewinners at the 2015 Wigmore Hall International String Quartet Competition, the Piatti Quartet is amongst the UK’s foremost young ensembles with a host of awards and critically-acclaimed recordings to its name. 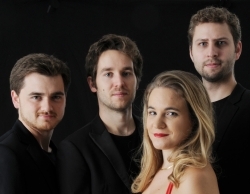 The Quartet has been reappointed as the 2015-16 Richard Carne Junior Fellows in String Quartet at Trinity Laban. The group continues to actively expand its repertoire with premieres of commissions from several acclaimed British composers. Recent activities include residencies in both the Aix-en-Provence and Rye Arts festivals, a debut in Istanbul, and a new recording of the 1st Razumovsky Quartet. The group takes its name from the great 19th-century cellist Alfredo Piatti, who was a leading professor and exponent of quartet playing at the Royal Academy of Music. The ‘virtuosic Fidelio Trio’ (Sunday Times) perform and broadcast diverse repertoire internationally. Their appearances in prestigious venues and at festivals the world over includes multiple USA tours and autumn 2016 sees a major concert tour of Asia. Their extensive discography on labels including Naxos, Delphian, MN Records, Col Legno and Divine Art reflects this diversity and this year they will record trios by Ravel and Saint-Saëns for Resonus Classics. 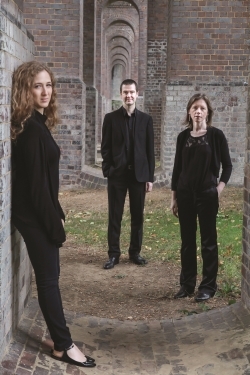 The Fidelio Trio have worked closely with composition and performance students through masterclasses at conservatoires and institutions all over the world and are recognised for their work constantly commissioning new works from leading international composers. They are Artistic Directors of an annual Winter Chamber Music Festival in Belvedere House, Dublin. 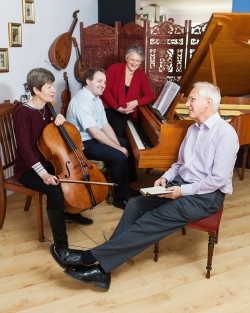 The Ensemble was formed in 2008 to bring both popular and less widely performed music to churches and communities within Bucks, Beds and Herts. They have performed regularly at National Trust property Claydon House, and recent engagements have included concerts for the Aylesbury Festival, Buckingham University, Hampstead Music Club at Burgh House and a tour of southern France. An accomplished composer, Albert shared the creative process in his letters to the young queen and as their married life progressed it was punctuated by concerts, private performances and audiences with the musical elite of Europe. The evening includes readings from the letters and diaries of the royals. Some of the compositions are well known, such as Mendelssohn’s Ich wollt’, meine Liebe and Elgar’s Chanson de matin, and some, originally composed by Prince Albert, have remained unpublished and unperformed until now. 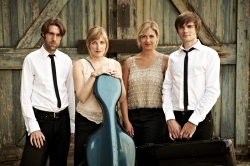 The award-winning Sacconi Quartet is recognised for its unanimous and compelling ensemble, consistently communicating with a fresh and imaginative approach. Performing with style and commitment, the Quartet is known throughout the world for its creativity and integrity of interpretation. Formed in 2001, its four founder members continue to demonstrate a shared passion for the string quartet repertoire, infectiously reaching out to audiences with their energy and enthusiasm. The Quartet has enjoyed a highly successful international career, performing regularly throughout Europe, at London’s major venues, in recordings and on radio broadcasts. 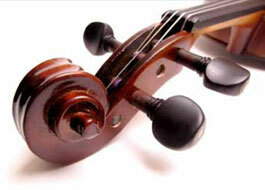 The Sacconi is Quartet in Association at the Royal College of Music and Associate Artist at the Bristol Old Vic. 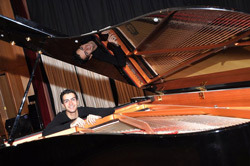 Riyad Nicolas was born in Aleppo and has already established himself as a leading figure of his generation on the international performing circuit. Among his recent achievements are the First Prize at the Francaix International Piano Competition in Paris and his débuts at Wigmore Hall, the Cadogan Hall and the Royal Albert Hall in London. He was selected to be a Tillett Trust Young Artist in 2012 and an artist at the Countess of Munster Trust Concert Scheme in 2014. Riyad studied in London at the Purcell School of Music, Royal Academy of music and the Royal College of Music and was complimented by such musicians as Daniel Barenboim, Vladimir Ashkenazy and John Lill.